Summer. The mere word is a sunlit Pandora’s box of pleasant visions, from lazy days baking beneath a blissfully brutal sun, to plumes of smoke thick with grease rising from beneath the grid of an overused grill, to the nights spent savoring salty mists against your face as the starlit bay lashes against a sandy pier, the seagulls laughing at the stars. These are visions that could hardly be more different, except for the common denominator of the season. There is one other similarity, however, one that’s invisible except to those who shared these moments – the pure spontaneity. But how does that tie into the recipe on offer today? Ribs with a homemade barbeque sauce surely takes some amount of forethought. Well, as I said before, spontaneity is only visible to those who are experiencing it, so allow me to explain. 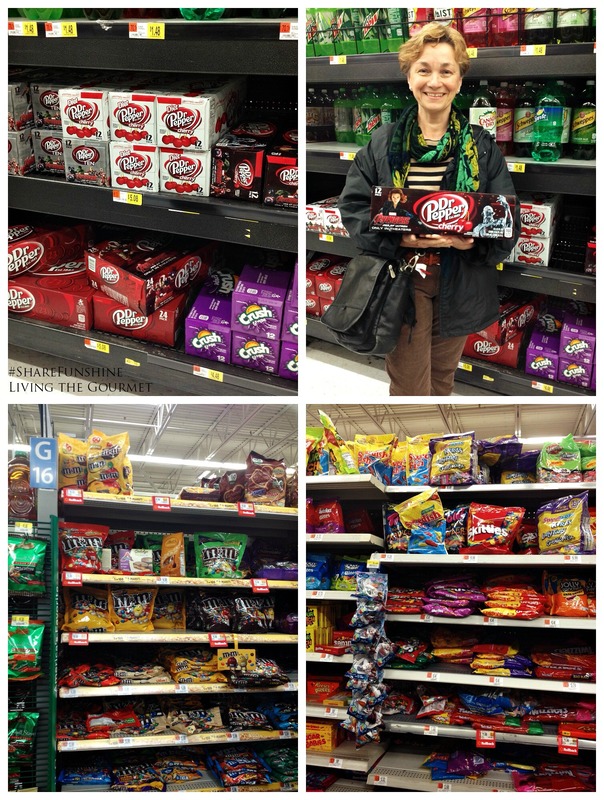 During my last Walmart visit, I came across a display of Dr Pepper ® Cherry. Now while we’re typically not big soda drinkers, that’s been my favorite flavor combination for years. A little behind the scenes, I’ve spent many long nights toiling over my keyboard with just my headphones and a tall Dr Pepper for company – a combination with which I’ve greeted far more sunrises than I care to admit. As such, I simply couldn’t resist. Translation: I bought two of the packs. When I arrived home, I was met with the realization that my nostalgia had come with price – I had forgotten what I actually needed. In this case, the ingredients for a savory grill sauce. 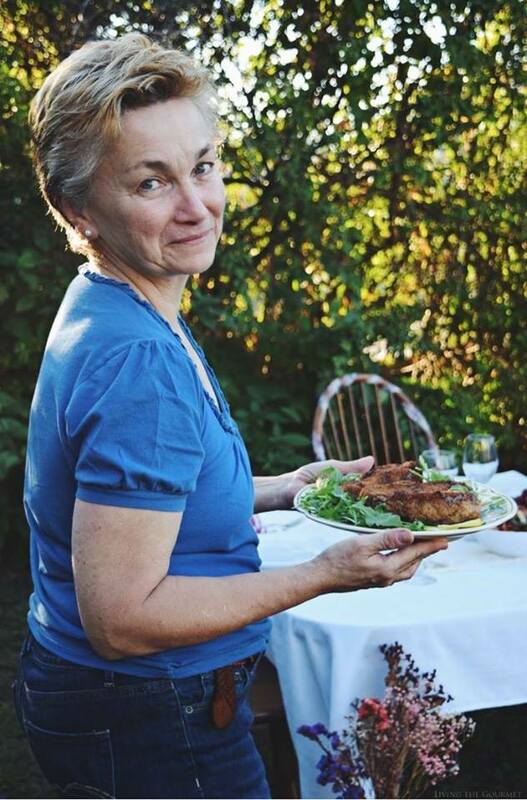 However before I could even think of heading back out to find the ingredients for the meal I had originally planned, I received a call from brother, who wanted to stop by with my nephew. Of course, I answered the self-invite with a dinner invite. After hanging up, I remembered my initial quandary, and realized I needed to think quickly. I had four pounds of pork ribs, and no ingredients for a sauce. 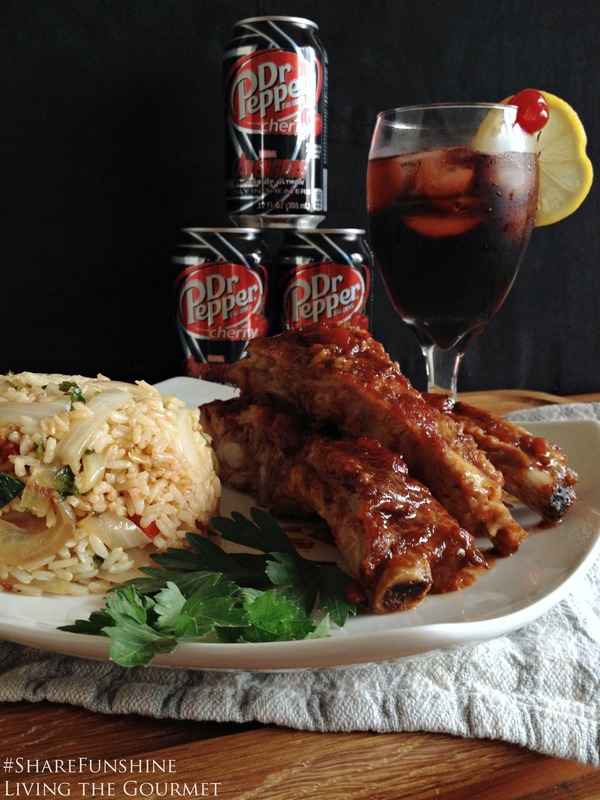 At first, I thought I would have to set aside the ribs for lack of a sauce, but then I remembered the Dr Pepper Cherry. I realized I didn’t have to limit myself to preparing them with a savory dry rub. Instead, I could prepare in them with a sweet-slanted barbeque sauce. 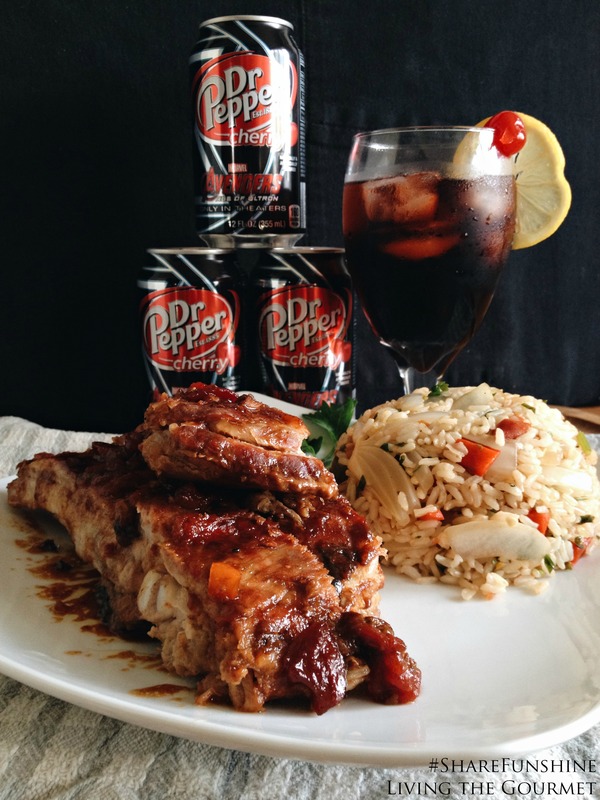 Using a can of the Dr Pepper, I would reduce the soda to a slightly thick ‘sauce’ with garlic, brown sugar, diced tomatoes and lemon juice. 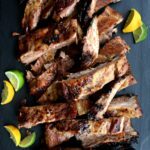 I would pair the ribs with a side of rice with garlic, jalapeno peppers, bell peppers, and a large sweet onion, creating a perfect fusion not just of just sweet and spicy, but also light and hardy. 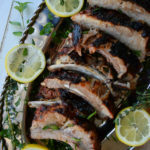 By the time my brother and nephew arrived, the aroma of sweet-ribs baking in the oven was there to greet them. I set up some Italian bread, Kalamata olives, and cheese out on the porch, and we had the perfect afternoon while we waited for the ribs. The ribs were done about twenty or so minutes later, and they were cooked simply to perfection. With the natural savory juices complementing the sweet coating, while the side of rice provided a bit of heat, it was an exquisite summer combination. In a medium sized sauce pan combine all of the ingredients for the marinade. Cook the marinade over a low heat while gently stirring; for about 20 minutes. The sauce will slightly thicken and reduce down a bit. Place the ribs in a baking dish. Brush about half of the sauce on the ribs; brushing both sides. Refrigerate the rest of the marinade. Cover the baking dish with foil and place in the oven for about two hours. After the two hours; uncover the ribs and brush with more sauce. Place back in the oven at 300 degrees, uncovered for another 30 – 40 minutes; while brushing the ribs at intervals with the sauce. 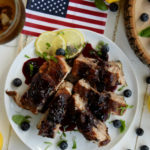 Remove the ribs from the oven and slice and serve. Heat a large frying pan with the olive oil; add the garlic, chopped peppers, jalapeño and onion. Sauté until the onion is softened and the garlic is fragrant; add the chopped parsley, salt and pepper and toss. Add the cooked rice to the pan and toss. However, once we had finished the ribs, I ‘remembered that I had forgotten’ dessert…entirely. 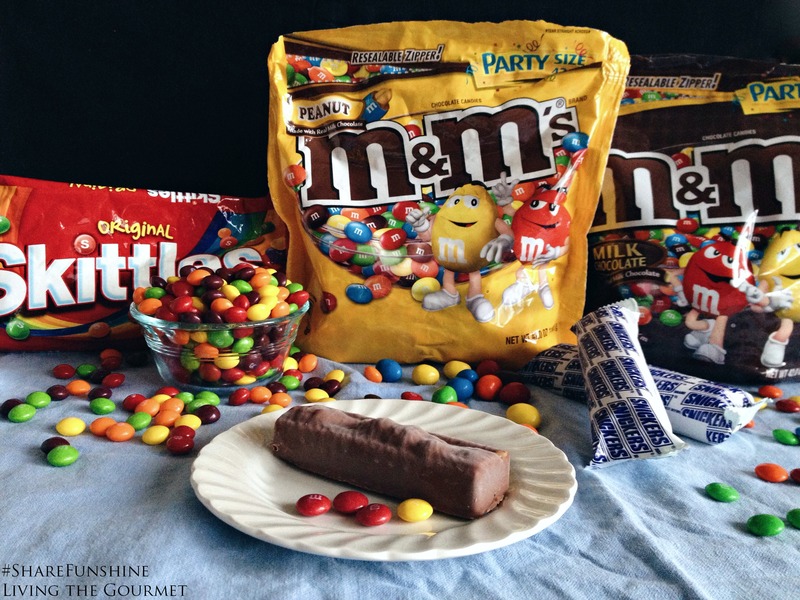 Thankfully, due to another ‘impulse’ purchase during a previous stop at Walmart, I had a few bags of plain and peanut M&M’s ® on hand, along with a box of SNICKERS ® Ice Cream Bars in the freezer. I quickly put up a pot of coffee, and set out the night’s dessert. Then, as the sun sank into the bay, and crisp nautical air replaced the mild heat, the first round of coffee was passed around the table, along with finger bowls of M&M’s and SNICKERS Ice Cream Bars. Despite the haphazard preparation, and the on the fly solutions, it was an evening well spent, and in many ways, for me at least, it encompassed what summer is supposed to be. That was our first bit of spontaneous fun this season. What are some of your unexpected events? Or what are some of your favorite summertime memories? If you’re interested to learn more on M&M’s®, SNICKERS® Ice Cream Bars, Dr Pepper® Cherry, Skittles®, Pedigree Dentastix®, download the Blippar app from your Apple or Android store to scan your package and receive exclusive content! Only you could make a dessert of store bought candy into an elegant dessert! What IS it with Dr. Pepper? They enjoy huge cult following. My friend has to drink one a day or she gets sick. And our son will drink no other soda. We always have to keep cold ones for him. Hello - that looks yummy - I love ribs and the rice looks delish too! Yummy, yummy, yummy for my tummy!!!!!!!!!!!! Oh, and thank you for dropping the MODE Video ad-box. It wouldn't have been so bad if it could have been set to where the sound was off to begin with and then turned on when someone wanted it. YUM! Can I come to your house for dinner?! 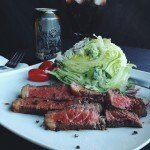 Dr. Pepper makes the best marinade for meat. 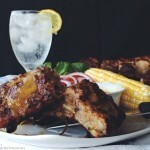 I love that you turned it into a bbq sauce and had ribs in no time!!! Even though my husband is the grill supervisor, I make the ribs. 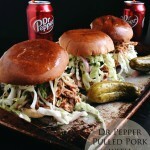 I have never thought to use Dr. Pepper but I bet it would make a great BBQ sauce. Pinning. Thanks for sharing on Merry Monday!